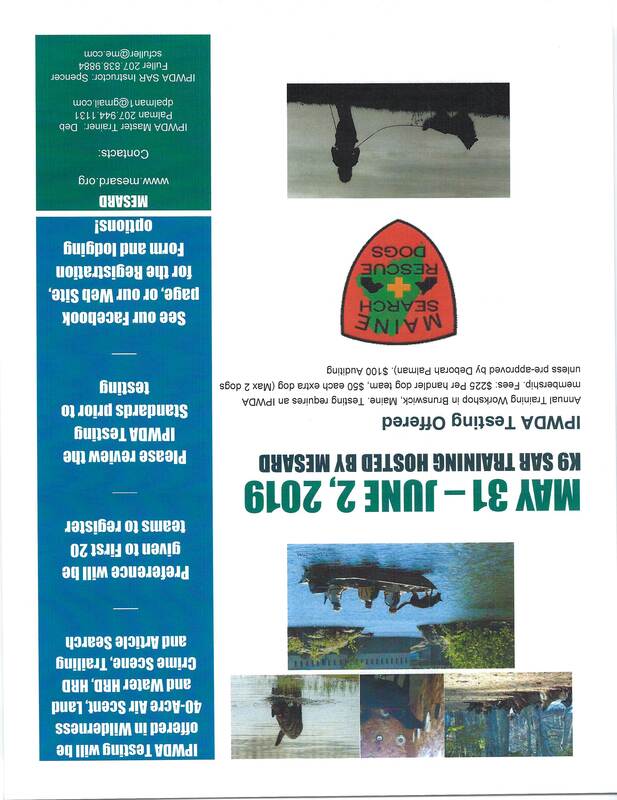 "Maine Search and Rescue Dogs (MESARD) is a non-profit organization that provides official agencies in the State of Maine and the Northeast region with trained and certified volunteer search and rescue dog teams that aid and assist in the recovery of missing persons. To accomplish this, MESARD teams will strive to maintain high levels of competence, professionalism, public service and ethics." Handler and flanker training includes First Aid/CPR, day and night land navigation, radio communications, GPS and map and compass, wilderness survival, crime scene preservation, the Incident Command System, and ground search techniques. 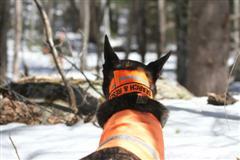 Search dog certifications are in one or more disciplines: tracking/trailing, wilderness area search, evidence, land and water cadaver search. Kobuk was honored to receive the "2016 Hero Dog Award for Search and Rescue Dog" on behalf of all search dogs on MESARD. Several documents on our web site require Adobe Acrobat Reader for viewing. If you do not yet have Adobe Reader, click on the "Get Acrobat Reader" button for a free download. MESARD dogs are trained to locate people. We do not search for lost pets. Please refer to the following links for assistance in locating missing pets. Copyright © 2018 Network Solutions, LLC, A Web.com Company. All rights reserved.